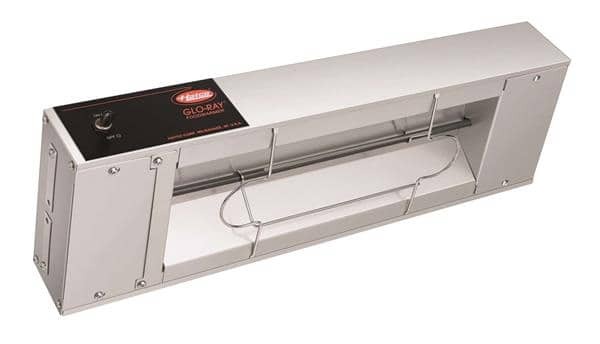 Safely hold the temperature of your product without drying out or further cooking food with Hatco’s Glo-Ray® Infrared Aluminum Strip Heaters. The end result is hot, fresh food that’s ready-to-serve. The continuous aluminum housing and heavy-duty mountings ensure the durability and quality of Hatco products. Consistent holding temperatures with no "cold spots"